Interaction is the outgrowth of four individuals' experience of the enrichment that comes through cross-cultural learning and living. Two Mexican natives and two United States natives have created Interaction to assist those wanting to advance their Spanish proficiency through immersion in the Mexican culture. Interaction is the only Spanish language school in Chihuahua, giving it the unique ability to immerse students in a completely foreign culture not populated with other English-speaking students. Interaction's focus is on helping its students gain proficiency in the Spanish language primarily in the areas of speaking and understanding the language. Interaction's campus is centrally located in Chihuahua, utilizing a 5 classroom building equipped with wireless internet, free computer access and international calling capabilities. The school also includes a small courtyard, an apartment, and offices for Interaction staff. 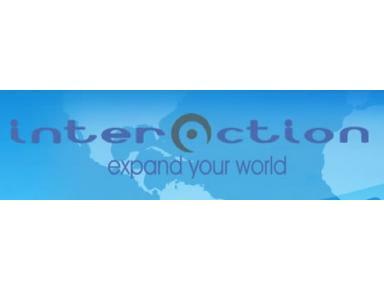 Interaction is staffed by experienced, native Spanish-speaking teachers who reside in the city of Chihuahua. The staff is dedicated to providing the tools and environment students will need to learn and use the Spanish language effectively.